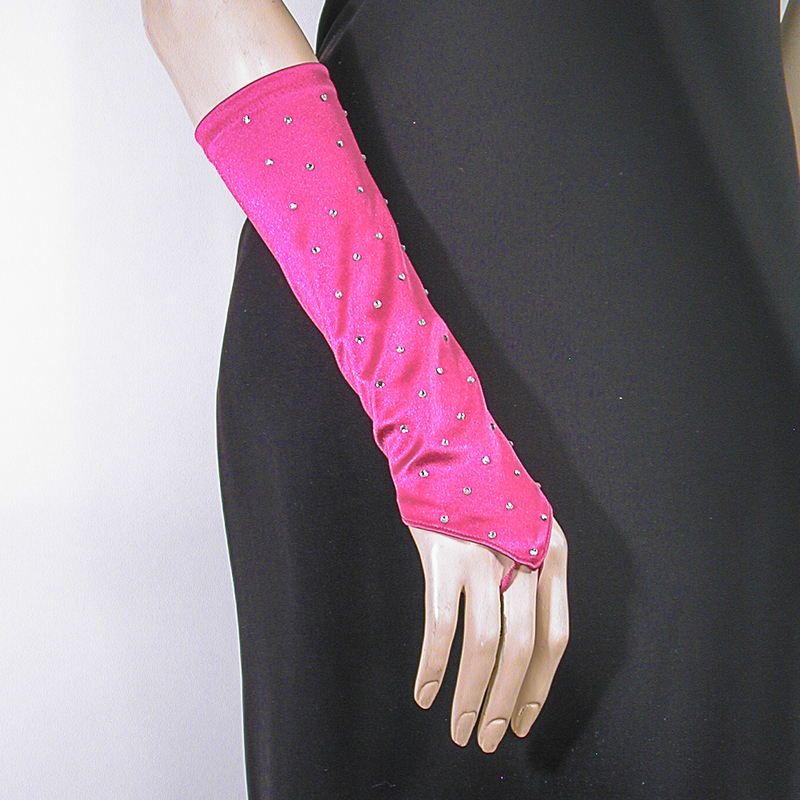 Rhinestone Studded Long Fingerless Satin Stretch Gloves Rhinestone studded long fingerless satin stretch gloves. These elegant gloves have sparkle and sheen. They have a fiber content of nylon or polyester with about 10% lycra for stretch. One size fits most, about 5-9. A small ribbon that slips over the middle finger to keep them in place. They are also rated as 8BL in length. They are an excellent choice for formal evening events, dinner dances, bridal parties and proms. The fingerless style allows you to dine without having to remove you gloves. Color: fuchsia Hue: Code: #FF0099.